The Trust provides funding and the site for the Sustainability Trial in Arable Rotations (STAR) project, which is a unique long-term fully replicated field-based study examining the interaction between cultivation methods and crop rotations. The STAR project provides growers with a practical demonstration that models their own farm situation, and also generates impartial, statistically valid, quantifiable data that clearly demonstrates the impact of farm decisions on system stability and profitability. This enables growers to make more informed choices that will be of benefit to their businesses. * Managed approach decisions are based on ‘best practice’ at the time, taking into account soil/water conditions, previous cropping, weed burden and soil assessments. Each year the STAR steering committee arrange an Open Day for farmers and technical advisers and agricultural journalists. The trial is now completing its seventh year. • About three quarters had not visited the STAR project before. • About half of attendees were NIAB TAG members. • as a direct result of attending this event. • about how they might approach system management on their farm. In addition to the open events findings from the STAR project have been presented to specific farmer groups (as both presentations and bespoke tours), delivered through a range of industry facing publications (e.g. the farming press), featured on ‘Farming Today’ on Radio 4 and have been presented at a range of national and international conferences and events. Should you be interested in finding out more about the STAR project or visiting the site please see www.niab.com or email info@niab.com for further information. The STAR project is delivered through NIAB TAG’s National Agronomy Centre (NAC) initiative. 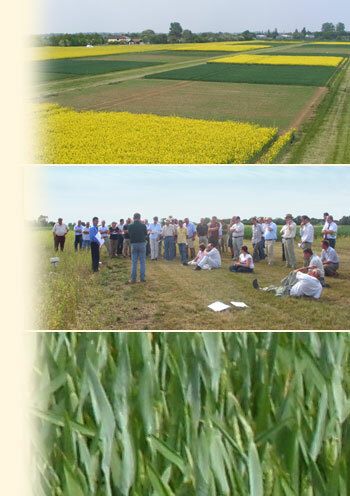 NAC is an independent, charitably funded programme, supported by The Morley Agricultural Foundation, carrying out applied crop and agronomy research and ensuring the results and conclusions are accessible to the entire UK agricultural industry – promoting best practice and informed choices on key arable decisions.